No more ruined graters and bent knives. Our filtered, yellow ^beeswax pastilles put an end to the laboring effort of cutting bars, trying to get the right amount. The sweet honey smell of the pastilles liven the scent of any product they're added to. 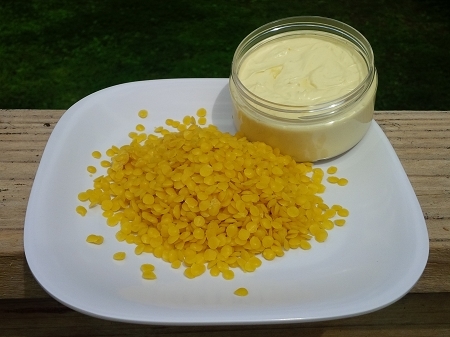 Beeswax provides a protective layer from the elements and is a nice addition to diaper-rash salves. Its anti-bacterial and anti-inflammatory properties make it wonderfully soothing to the skin. 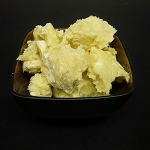 Perfect for salve making, beeswax can also be used as an emulsifier in lotion and cream blends. We use it in our popular Nandi's Skin Relief Butter.